Accounting alum Richard Vong ’14 landed a job with a lot of stress and responsibility – but not the kind he was expecting when he first enrolled here at LeBow. 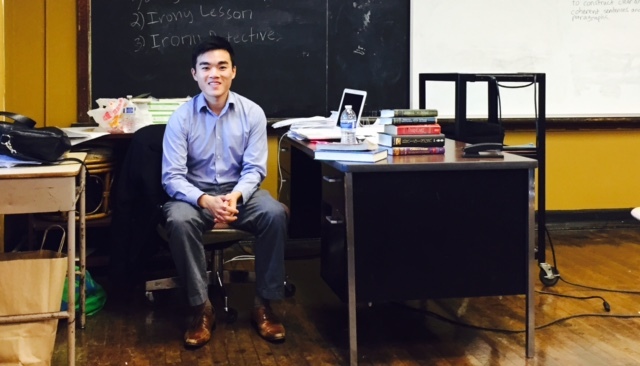 Vong just started his first full school year with the Teach for America program at William T. Tilden Middle School in West Philly, where he teaches English enrichment classes to sixth, seventh and eighth grade students. 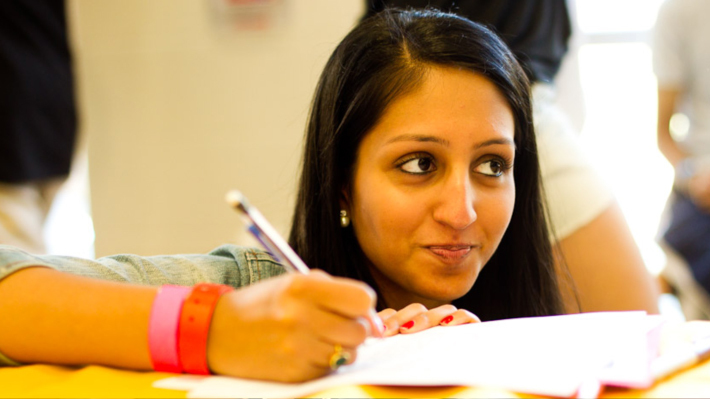 His class is meant to supplement the students’ main English classes taught by their homeroom teachers and emphasizes reading comprehension and writing skills. During his time at Drexel LeBow, Vong completed a co-op at KPMG and seriously considered a career with a big accounting firm. But a pair of experiences exposed him to things he had never considered before: teaching, and contributing his skills to help a nonprofit cause. Vong served on the Dean’s Advisory Board, and through a fellow member he heard about the National Student Leadership Conference. He got involved with the organization and wound up spending a summer teaching business classes to high school students. He loved it. Soon after that, he found himself enrolled in an undergraduate consulting class through LeBow’s Dornsife Office for Experiential Education. The class, taught by Linda Reilly, challenged students to create business plans for a nonprofit organization that creates living communities for people with autism. Vong raves about the support he gets from the Teach for America program and the administration at Tilden. The students he is clearly getting through to are the valuable payoff for his hard work. LeBow College recently established a Faculty Hall of Fame to honor professors who have made a lasting impression on students and alumni.